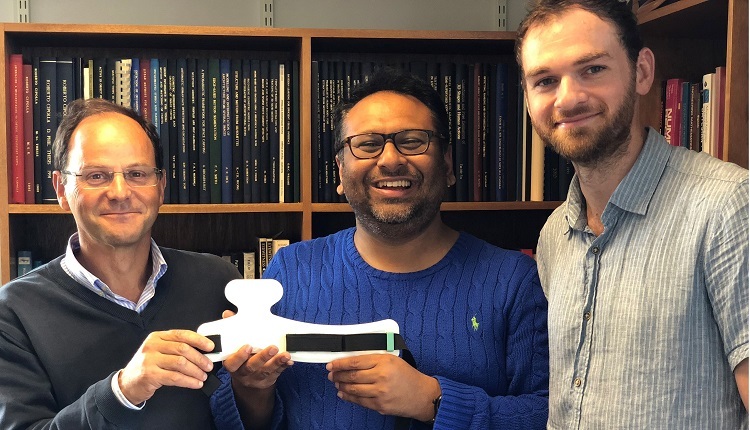 A Cambridge start-up co-founded by alumnus Dr Rameen Shakur (PhD Biological Science 2012) has developed a low-cost next-generation wearable heart and cardiovascular function monitor which uses AI to diagnose heart rhythm and respiratory problems in real time. Professor Roberto Cipolla from Cambridge’s Department of Engineering met cardiologist, clinical academic and Fitzwilliam alumnus Dr Rameen Shakur (PhD Biological Science 2012) in 2015, a year after Roberto’s father had died of a stroke. Their ongoing research collaboration has now led to the formation of Cambridge Heartwear, a company based on the Cambridge Science Park. This article was originally published in the Research News section of the University website. You can read the original version here.